and no one noticed.. because it stinks at comicon. 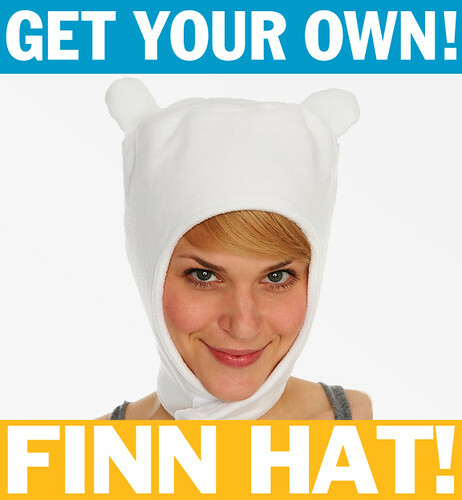 This post is for people who saw Adventure Time at comicon and wanted to write a comment about it. I had a really swell time at comicon this year. The warm applause at the Random Cartoons screening after my cartoon played gave me a little boost of confidence so I was able to walk amongst the tables, free of guilt when I didn’t buy.. every comic at every table. At the past 3 cons I would start to get really freaked out by all the people and especially all of the artists behind tables that want you to buy their comics. This year I was oky doky.. and I did buy a ton of a comics. A pile - shin high. Thanks Claudia for putting it together. 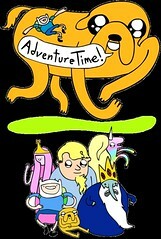 Indeed, Dan’s doodles of the characters from Adventure Time. We ate at Tally Rand. Preeeeeety rad. They have popeye breakfast burritos. Thumbs Up!